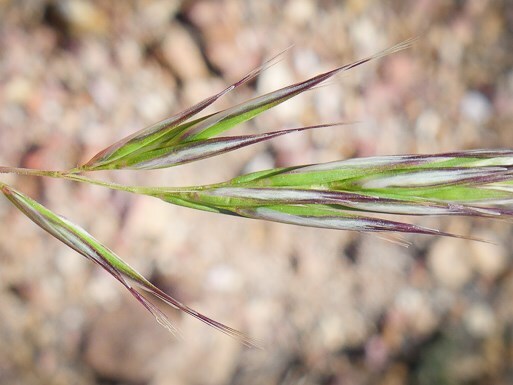 Rytidosperma caespitosum (wallabygrass) is a perennial grass (family Poaceae) that can grow to be more than 2 feet tall and is found in the central and south coast ranges of California. It is native to Australia. It favors grasslands and dunes. It spreads via seed, often along roadsides. Its seeds are bristly and get carried by the wind. Humans and machinery also disperse the seeds.